Revenue building leaders in wellness brands and spa organizations, ROI's foundation is built from 20+ years of successful sales experience, led by industry leader Gina Jacoby-Clements. This solid knowledge base allows us the freedom to show true innovation, and apply creativity to methods of growing income. Through principles of gratitude and inspirational involvement, your energized team will exceed not only the company's expectations, but also their own. sales directors and anyone looking for career coaching. We can help! Are you looking to grow in your career? Do you want to find your passion? Do you need further training to advance to the next level? Thinking of switching from the spa side to the brand side? We would love to help you find what’s right for you. We have coaching sessions, job placement and intern training classes available. Please ask us for a consultation today! Gina Jacoby-Clements is a highly effective sales executive with a strong entrepreneurial spirit. Gina has been in the spa, wellness, beauty, and skincare industry since 1988. After completing cosmetology school in 1992 she quickly climbed the ladder of success as a salon manager, to a distinguished professional makeup artist in Los Angeles, to launching her first spa and beauty retail store in Studio City, CA in 1999. She opened a second spa in 2001 in Santa Monica on Montana Avenue aspiring in much success as a business owner. Gina sold her spas for a lucrative profit in two years after each location launched. Working with brands such as Epicuren, Merle Norman, YG Labs, Rhonda Alison, Prescription Plus, Cellex C, and many more. Winning national sales awards for exceeded sales goals in services and retail sales, Gina Jacoby-Clements is certainly a master of her craft and continues to set the bar of expectations in the spa and wellness industry. By 2005, Gina moved from ownership to brand management - opening numerous Sephora and Saks Fifth Avenue locations for a newly launched Australian cosmetic line entering into the U.S. market for the first time. Gina realized that natural/pure ingredients were becoming important to herself, as well as many others in the beauty industry. This technology and innovative development of quality, luxury, skincare, cosmetic and spa products were becoming the greater demand in spa beauty that led her to joining La Bella Donna Mineral Cosmetics. After investing a number of years developing and growing the company to a successful and reputable pillar in the Spa and Wellness Industry. Gina has now created Revenue of Inspiration, gathering her knowledge, experience and passion for the spa industry; she has taken 28 years of hard work and determination to create a business where spa and wellness leaders all over the world may confide in knowing they are receiving the very best expert advice and guidance from a professional whose level of expertise continues to surpass all expectations in the spa industry. Erin Kelley joins ROI as Developer of Inspiration. What this basically means is Erin truly runs the show. Along with Gina’s assistance Erin is in charge of day to day operations. Erin’s extensive background in administrative support, business strategy and partnerships details, is a true asset to the company. Erin has worked with top-level companies such as State Farm, Laughter Heals, WSI Global Solutions, and iBid Motors. Erin brings a “let’s do it” attitude with her exceptional skills in organizing and planning to ROI’s Inspirational Team. Our partnerships are the most important thing to all of us at ROI, and Erin prides herself on strong follow up and follow through on all levels of support. With over 20 years in customer service, Erin excels in making sure every client feels like family! 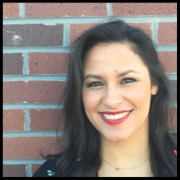 Mariella Carrasquillo is joining ROI Revenue of Inspiration as an Inspiration Executive. Mariella is no stranger to the wellness or hospitality industry. Prior to ROI, Mariella was with Starwood Hotels & Resorts/Marriott as a Spa Specialist. She helped manage a portfolio of 300 spas as well as 80 spas in development. She worked for Starwood for 13 years supporting departments such as architecture & construction, brand marketing and spa development & operations. Mariella also worked for Hilton Hotels & Resorts at the Front Desk and Food & Beverage outlets. Lyndi Heus joins ROI as Executive Creator of Expansion. Lyndi brings over 18 years of business building and esthetic experience to ROI. While living in Los Angeles, she began her career in PR & Marketing, but her love of skincare was undeniable and Lyndi obtained her Esthetics license. She began overseeing prestigious hotel spas such as the The Spa at JW Marriott, Santa Monica and AquaStar Spa at The Beverly Hilton, Beverly Hills; while simultaneously seeing private clients in a small studio in the evenings. Combining her love of skincare with her business experience landed her a promotion at Hilton Worldwide in Washington, DC as the Manager of Global Spa Concepts and Performance designing spa concepts and supporting more than 400 spa’s in their retail and service performance, quality standards, product selections, and overall spa design. Continuing her spa operational excellence and motivational team building efforts, Lyndi joined WTS as their Corporate Operations Director overseeing a portfolio of luxury spas in New York City. Most recently, she lead the education team at BABOR, Americas in creating custom education materials and motivational education sessions to re-invigorate treatment therapists and sales team members. She prides herself on providing excellent customer service and a personalized approach for every client. Her passion for the beauty industry is contagious and she is thrilled to be joining the ROI team. Wendy McKay is an industry veteran of the spa industry with over 22 years of top-level experience. Wendy brings her knowledge, insight and inspiration to ROI Leaders as the Exceptional Motivational Trainer = EMT: Wendy started by working her way from lead aesthetician to spa director at the largest day spa in Philadelphia. Serving holistic and skin care research committees; addressing medical and aesthetic groups on new education models and business practices; conducting corporate seminars at trade shows, conferences and continuing education programs on up to date knowledge is high priority. 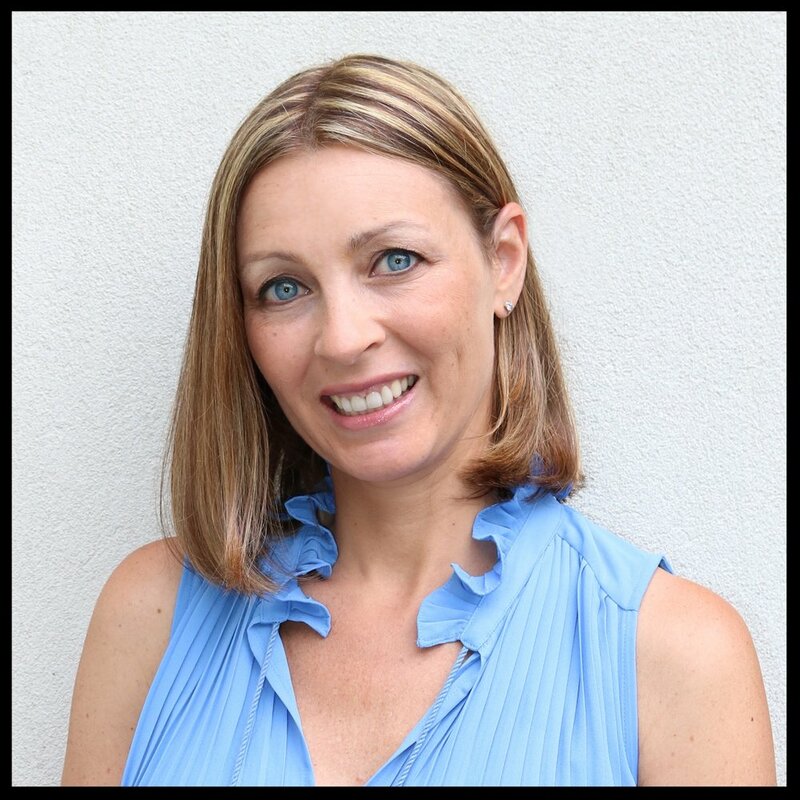 She joined the Hylunia team as a Skin Care Educator and has been teaching aestheticians, students, directors, nurses and doctors about her "total body wellness" philosophy since 2004. Wendy creates education tools to ensure that everything is market-specific, cultural needs are met within all programs, along with conceptualization for true success. Based in Los Angeles, Megan has been a licensed esthetician, makeup artist, eyebrow specialist and hair stylist for over 13 years. Her career as a beauty professional has led her to be the department head on productions in Los Angeles and Europe. Megan has graced the faces of such notable names as Adriana Lima and Emmy Rossum and has worked on music videos for artists like Pharrell Williams. Outside of doing makeup, Miss Vigil has held roles in product development, as a sought-after content creator, and as a Beauty and Fashion Editor for E! Entertainment. She is an apt beauty educator, having written multiple books and courses on topics from skincare and makeup to breaking into the beauty business. Her goal is to advise and empower beauty enthusiasts and fellow professionals throughout the industry. Based in Southern California, Tanya has been in the Beauty Business for 20 years and has built amazing relationships. She has always had an obsession with beauty and hair care products and still gets very excited by fabulous brands. Her start in the industry was with Sebastian, Int. With phenomenal training, Tanya cultivated the art of client relationships and the importance of being of service. Client service is her key focus by partnering with the client and the brand to ensure the utmost in service. People want to work with people they like, who are good listeners as well as implementers and Tanya encompasses those traits. She’s very excited to work with ROI and the brands they represent. Kesha is an industry leader committed to the health and preservation of your naturally beautiful skin. Based out of Atlanta, she come to us with over 20 years of experience. Kesha is passionate and dedicated to educating clients on anti-aging and the enhancement of beauty. An Aesthetician, brand educator, certified makeup artist/ trainer and lash technician, Kesha has led an exciting career. As a Studio Artist with Smashbox cosmetics and Celebrity Artist with Fashion Fair cosmetics, Kesha has taught master classes, led trend shows and worked on set during fashion shows and doing print work. Her love of Aesthetics has afforded her the opportunity to grace spa clients with her gentle touch and educate them through her extensive knowledge of skincare and artistry techniques. Leslie Doroba started her esthetics career in 2008 at the prestigious Von Lee International School of Aesthetics. Her journey has spanned from the salon setting to the world of luxury hospitality. “My sacred work is to empower women to feel and look beautiful.” Leslie has taken advanced training in Oncology Esthetics and in 2014 she was awarded the Look Good Feel Better® Sunrise Award for Outstanding Service for the state of Maryland. As Spa Manager for The Ivy, a luxury boutique hotel in Baltimore, she initiated operational improvements and developed marketing strategies to grow spa sales by 70%. Leslie specializes in holistic therapies, advanced skincare, and innovative technology to delight her clients with results. Michelle has been in the spa and hospitality industry for over 17 years. She has a Bachelor’s Degree in Hospitality Management, Certified in Massage Therapy, and Certified in Professional Makeup Artistry with special training in bridal. Michelle spent 5 years in luxury resort management overseeing 4 and 5-star resort spas in the Napa region. Michelle supervised the guest services division, labor and revenue management, along with all aspects of retail and salon and spa services. Michelle’s passion is servicing her partnerships and maximizing growth potential. Michelle knows how to create revenue and make sure each guest has a unique experience. Retail sales training is Michelle’s true gift to each of our clients. We are grateful to have her as part of the ROI team. Alyssa Clements joins ROI as "Aminator of Sales Specialist." She is a recent college graduate from Central Michigan University where she studied Biomedical Science. After extensive time spent in laboratories, she truly understands the importance of every ingredient incorporated in a final product and how each and every component plays a vital role. With that expertise, she is ecstatic to be apart of ROI in promoting clean beauty brands. For years Alyssa has provided makeup applications for countless special occasions spanning from Weddings, Showers, Proms, etc. Combining her passion for the beauty industry with her love to learn and teach, her position provides the perfect balance. As "Aminator of Sales Specialist," she is able to spread her knowledge of the wonderful brands to the potential buyers and assist with client's on informing their customers of the benefits of the products. Her energy brings a new strength to our team as she presents fresh ideas that continues to flourish within ROI.